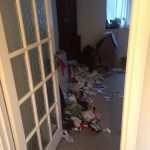 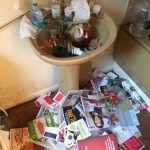 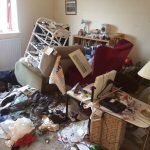 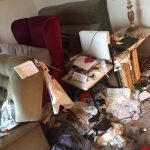 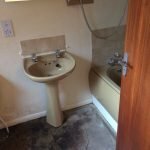 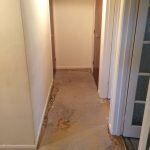 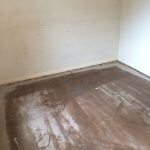 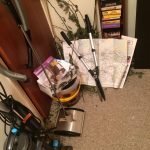 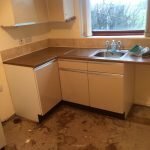 House Clearance Service In Glasgow Auldburn Pollok Cardonald Govan Pollokshields Langside Calton Anderston Yorkhill Hillhead Victoria Park Garscadden Scotstounhill. 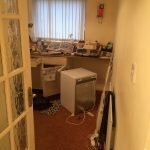 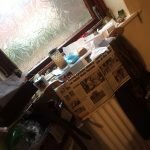 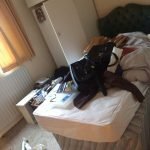 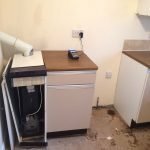 Hi i am requiring a quote to clear a two bedroom flat in Glasgow, there is 1 double bed, 2 single beds, 3 armchairs, 2 shelving units, three coffee tables, four dining chairs and a dining table, one tumble dryer and a washing machine. 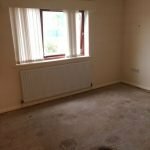 Also all of the carpets are to bed removed too. 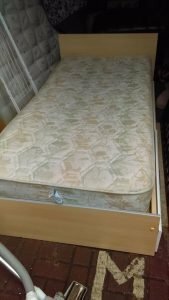 A solid wood single bed frame with two under drawers, together with a single patterned mattress. 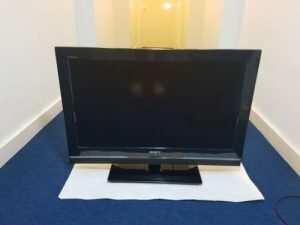 A black Sony Bravia KDL-32V5500 32 inch flat screen television. 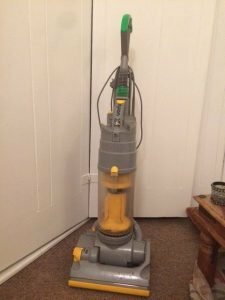 A grey and yellow Dyson DC4 upright bagless vacuum cleaner. 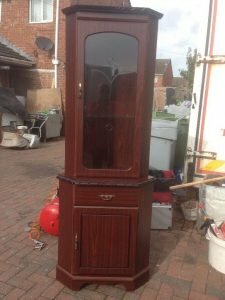 A vintage solid mahogany and glass carved corner unit, having one glass inlaid door opening to reveal two glass shelves, above one drawer and a single cupboard. 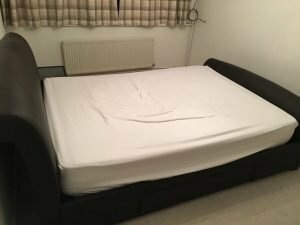 A king size bed frame upholstered with black faux leather, tougher with a white king size mattress. 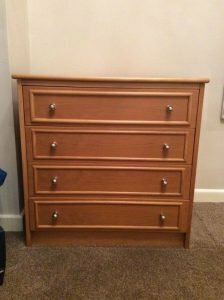 A large solid wood bedroom chest of drawers, having four drawers, each with two chrome knobs. 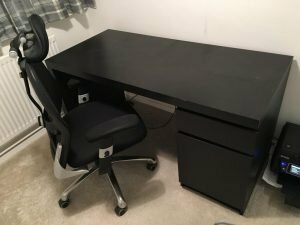 A black solid wood desk, having two drawers to the right side, together with a black leather swivel chair. 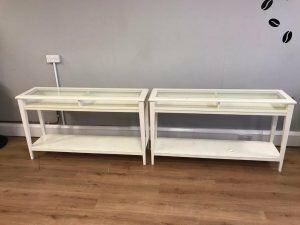 A pair of white solid wood and glass Ikea display cabinets. 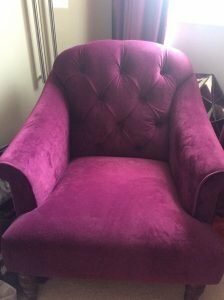 A high back bedroom armchair on mahogany turned legs, upholstered in purple velvet with button back detailing. 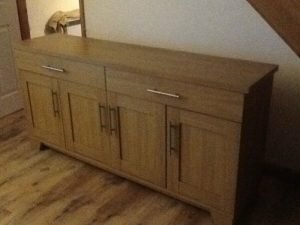 A large solid oak sideboard, having two large drawers above one double and two single cupboards. 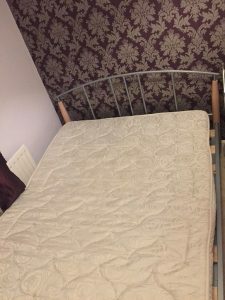 A chrome and wood curved double bed frame, together with a cream patterned double mattress. 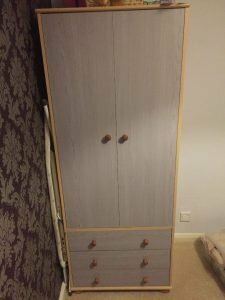 A grey solid wood tall standing two door wardrobe, having three large drawers to the bottom, raised on ball feet. 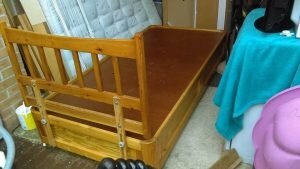 A solid pine single bed frame, with two storage drawers underneath. 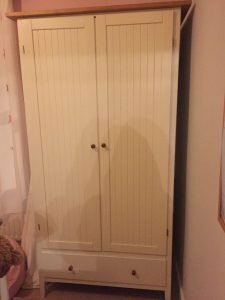 A white solid wood tall standing double wardrobe, having one large drawer to the bottom. 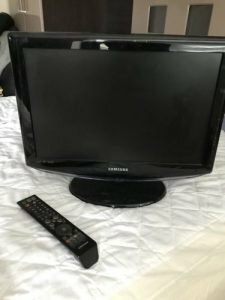 A black Samsung 19 inch HD flat screen television. 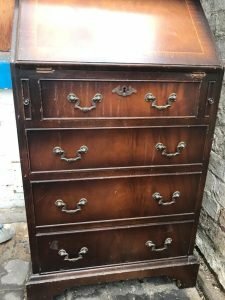 A vintage solid mahogany writing bureau, having a pull down desk above one small over three drawers, each having two brass handles.